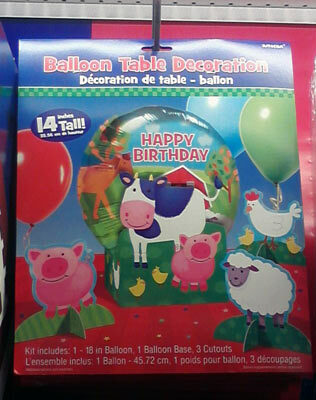 The daily cow is at Party City! As we continued our search for American flag stickers today, my son and I decided to expand our horizons and look for them at Party City. 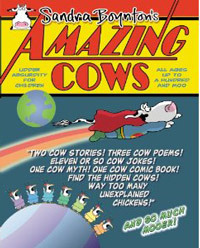 I have to admit that my son is a great cow spotter, even when the bovines are not located at his eye level. This is what I heard him say before I took the picture below: “Mama, your cow of the day! 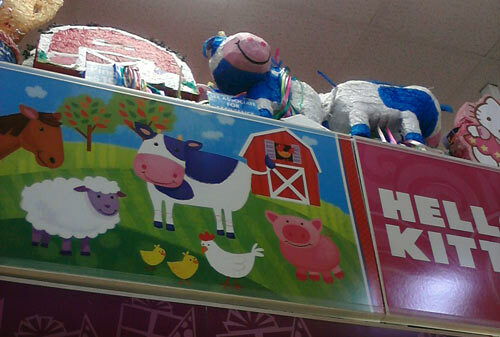 It’s a pinata!” Check it out, at the very top of the shelf. And my favorite, on the birthday ribbon! 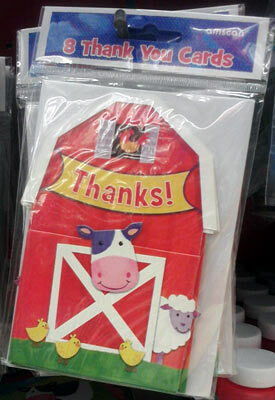 My birthday is not until June but I’m seriously considering having this cow / barn theme for it. How fun would that be, really? 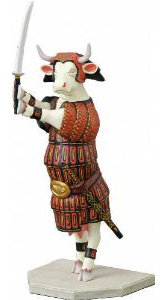 Next Post Target has our daily cows, two of them!